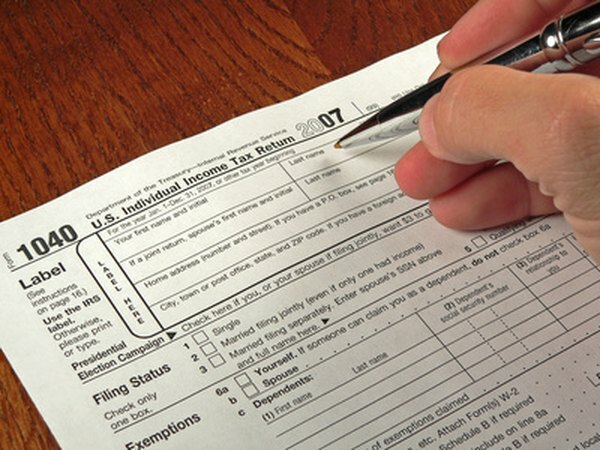 You have to file your taxes with Form 1040 to take the mortgage interest deduction. 1. How do I Calculate Tax Savings on Mortgage Interest? 3. Can Home Equity Interest Be Deducted From Income Tax? Refinancing your mortgage usually saves you money by lowering your interest rate and your monthly payment. If you're thinking twice because you're concerned about losing your mortgage interest tax deduction, don't worry, refinancing your mortgage won't jeopardize your mortgage interest deduction. However, if you do a cash-out refinance, you might not be able to deduct all of the interest on the additional debt. If you refinance your mortgage, you can continue to deduct the interest that you pay on the amount you owed prior to the refinance. For example, if you owed $300,000 on your mortgage and you refinanced that $300,000, you could continue to deduct the interest as if you had not refinanced. However, remember that refinance or not, you're limited to deducting the interest on the first $1 million of mortgage debt ($500,000 if married filing separately). If you refinance for more than you previously owed, the additional debt you take on usually won't qualify as home mortgage debt. However, it does count as home equity debt, which is still deductible, albeit with lower limits. Instead of the interest on the first $1 million being deductible, you can only deduct the interest on the first $100,000 ($50,000 if married filing separately) of home equity debt. On the bright side, you can use the proceeds for any purpose. If you use the proceeds of a cash-out refinance to improve your home, you can count that debt as home mortgage debt rather than home equity debt. The advantage is that home mortgage debt has the higher deduction limits. For example, if you do a cash-out refinance so that you borrow $30,000 more than you owed before the refinance but use that $30,000 to add on a porch, that $30,000 counts as home mortgage debt. When you refinance, you'll continue to receive a Form 1098 at the end of each year that shows how much interest you've paid on the mortgage. On your income taxes, add the deductible mortgage interest to the deductible home equity debt interest, if any, and report the total on Line 10 of Schedule A. If your mortgage or home equity debt exceeds the limits, use the Worksheet To Figure Your Qualified Loan Limit and Deductible Home Mortgage Interest For the Current Year, found in IRS Publication 936, to figure the deductible portion. What Can You Deduct on Your Income Tax When You Refinance Your Mortgage? What Deductions Can You Claim When Buying a Home? What Can You Write Off for Taxes With a Mortgage?